Odious Devotion are a band from Finland that plays a very raw form of black metal and this is a review of their self titled 2018 album which will be released on December 21st by Wolfspell Records. A very dark, militant and ritualistic sounding intro starts off the album before going into a very fast and raw musical direction which also uses a great amount of blast beats and tremolo picking while the solos and leads also bring in more of a raw and melodic style along with the vocals being mostly grim black metal screams. A great portion of the tracks are very long and epic in length while the music is also very heavily rooted in the 90's style along with some melodic tracks also being used briefly as well as some of the tracks also slowing down for a few seconds but keeping the focus mostly on a faster style and as the album progresses an ambient style instrumental is added onto the recording and a later track also adds in a brief use of acoustic guitars. Odious Devotion plays a style of black metal that is very raw and fast in the old school tradition, the production sounds very dark and raw while the lyrics cover dark and philosophical themes. 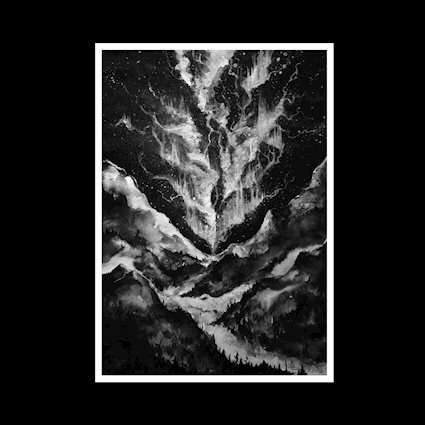 In my opinion Odious Devotion are a very great sounding raw black metal band and if you are a fan of this musical genre, you should check out this album. RECOMMENDED TRACKS INCLUDE "Morphosis" and "Vitsaus". 8 out of 10.